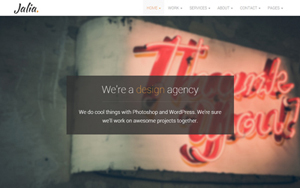 Today’s web design resource is a new free Bootstrap template named Gioia and it’s a perfect business theme for an agency or portfolio website for yourself or your clients. 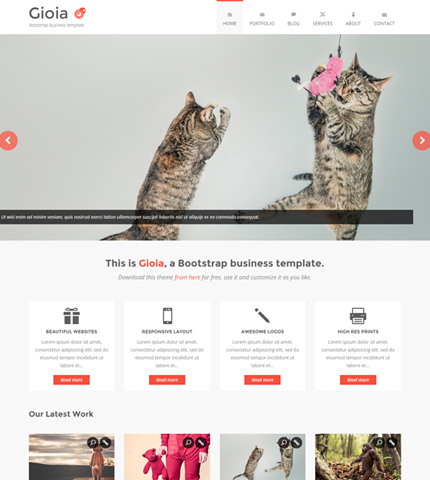 Gioia is very similar to Andia template and it comes with 5 responsive pages: Home, Portfolio, Services, About and Contact. 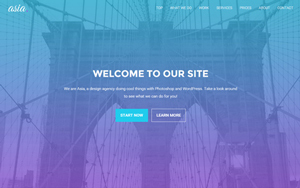 Some of its features include: responsive image slider, modern filterable portfolio, AJAX contact and email subscription forms, Flickr photos, font icons, CSS3 animations, Google Maps, etc. 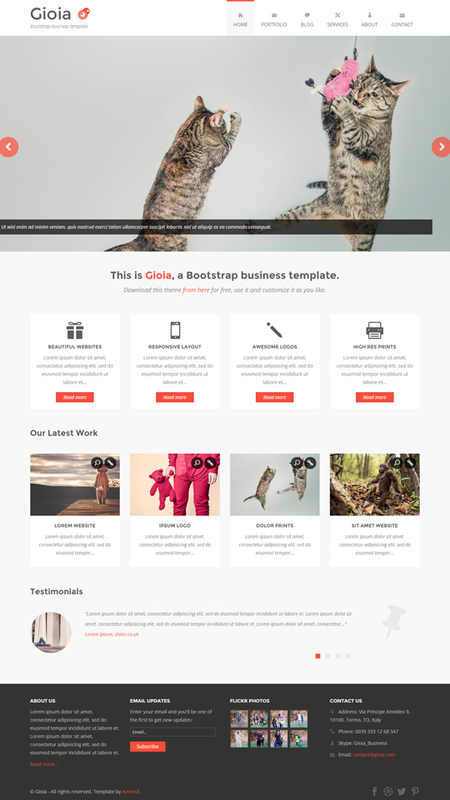 This template is part of the Subscriber Resources, available only to Azmind newsletter subscribers. If you haven’t subscribed yet, you can do it here. Below you’ll find the full list of Gioia’s features, the live preview link and the subscribe link (to download it). Enjoy! I’m probably being silly but I have subscribed and still can’t see a download link for this. Could you help please? Can you show me the email you’ve used to subscribe? i too didn’t get one…! I already suscribed but i can’t see the download link. Could you help me? Hi everybody! Please wait a few minutes and you’ll receive the email with the link. I signed up twice but not getting any email in my inbox for download. Please check if it is working properly. Yes, it’s working properly. Please wait a few minutes to get the email. really great template. I have longer words for the navigation, so where do I have to change css @media settings, that the navigation will be toggled earlier?